Visitors, residents and businesses in Indian Rocks Beach should expect to see a lot of orange cones as the undergrounding project begins along Gulf Blvd. 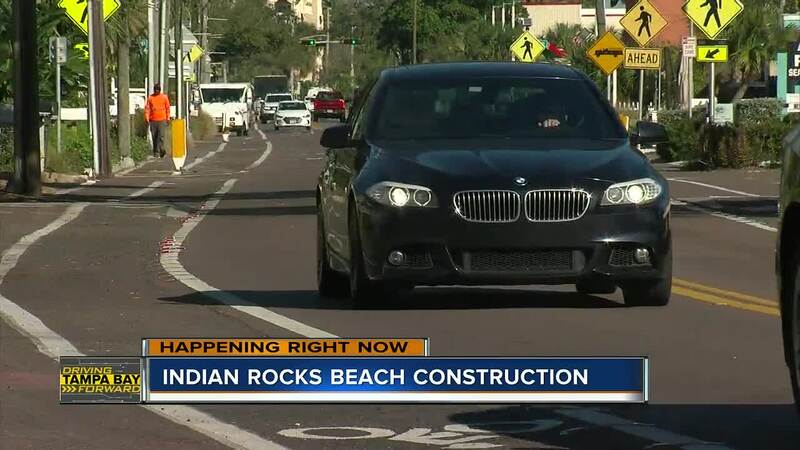 INDIAN ROCKS BEACH, Fla. — Visitors, residents and businesses in Indian Rocks Beach should expect to see a lot of orange cones as construction begins along Gulf Boulevard. Crews will be working to put overhead lines below ground from 5th Avenue to Whitehurst Avenue. There will be a large amount of equipment along the pedestrian walkway on the west side of Gulf Blvd. Drivers will find traffic shifts and partial closures. Residents will experience temporary drive closures and outages. Greene says there are several reasons for the construction. First, to improve the looks of the well-traveled area. And, most importantly, to protect against strong winds that could damage overhead and exposed lines, potentially causing lengthy outages. The project, part of the Penny for Pinellas Program, is expected to last about nine months. Greene says crews may have to stop working during busy times, like spring break.